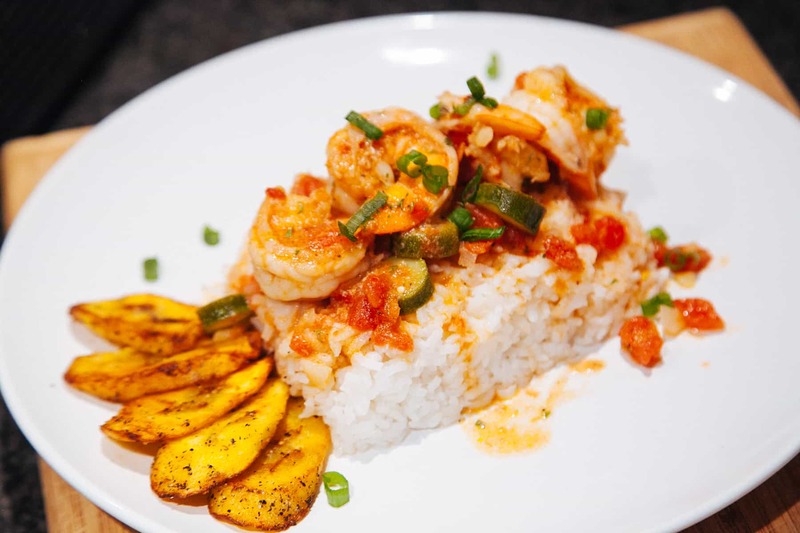 Cook/boil the rice in large pot until the rice is tender and soft or as instructed on the package. 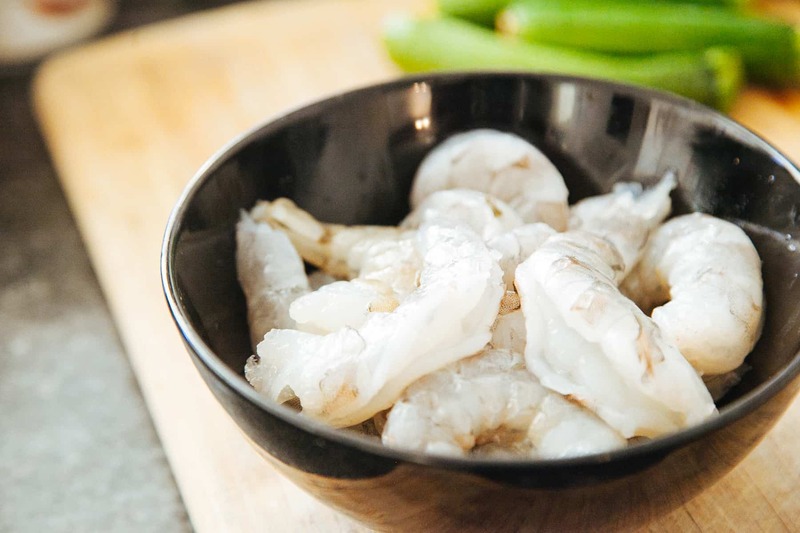 Add a pinch or 1 tbsp of sea salt. 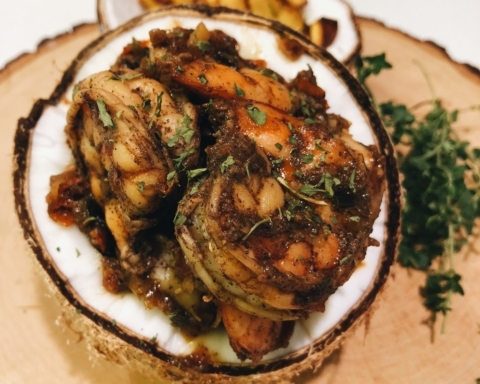 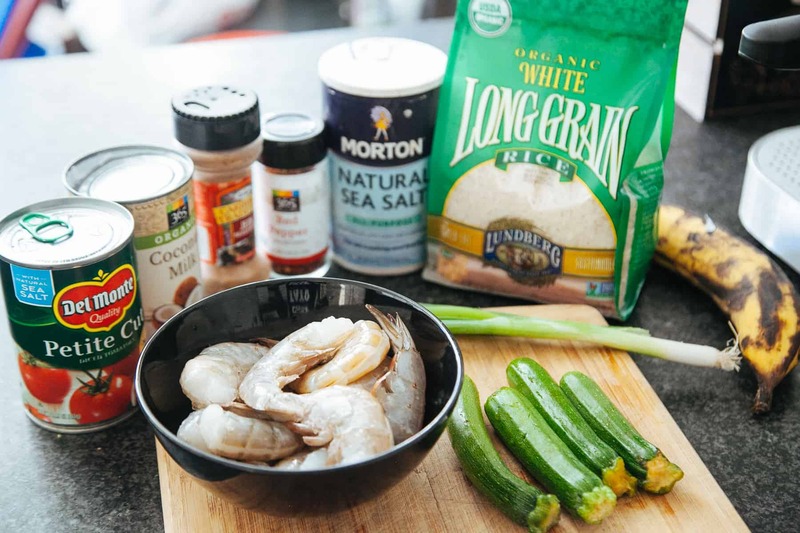 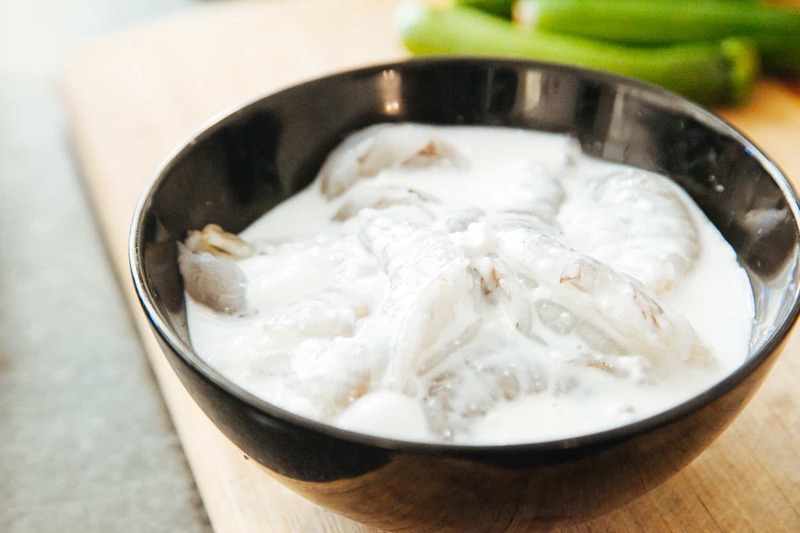 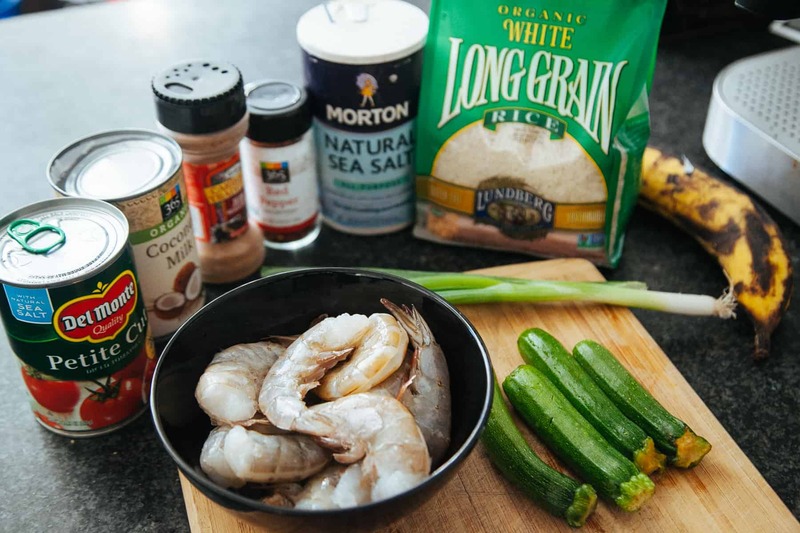 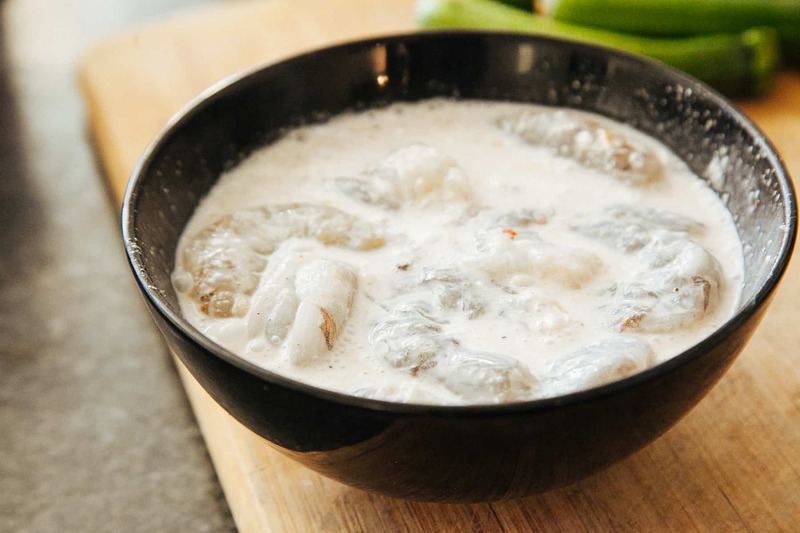 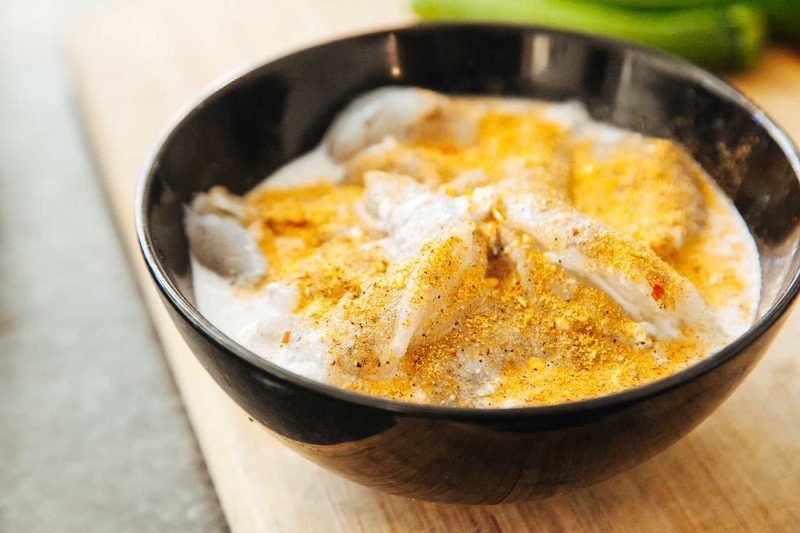 In a large bowl combine the shrimp, coconut milk, jerk seasoning. 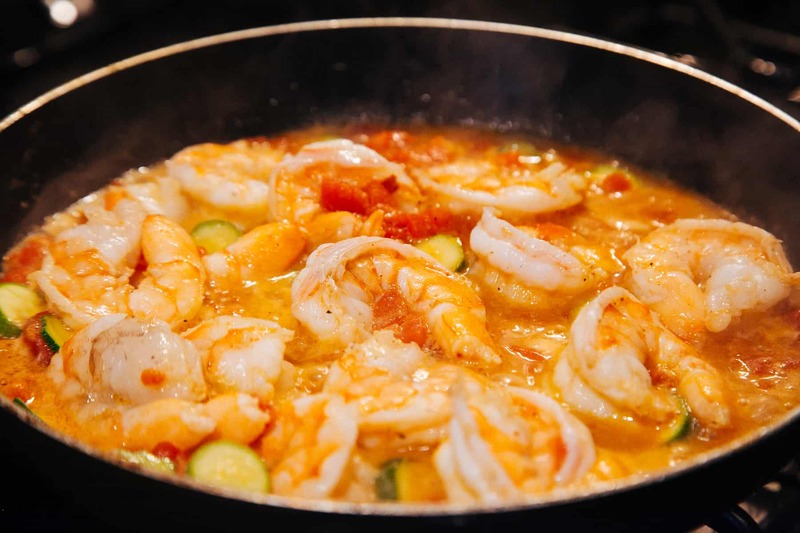 Mix everything together with your hands, and allow the shrimp and mix to marinate for about 30 minutes in room temperature. 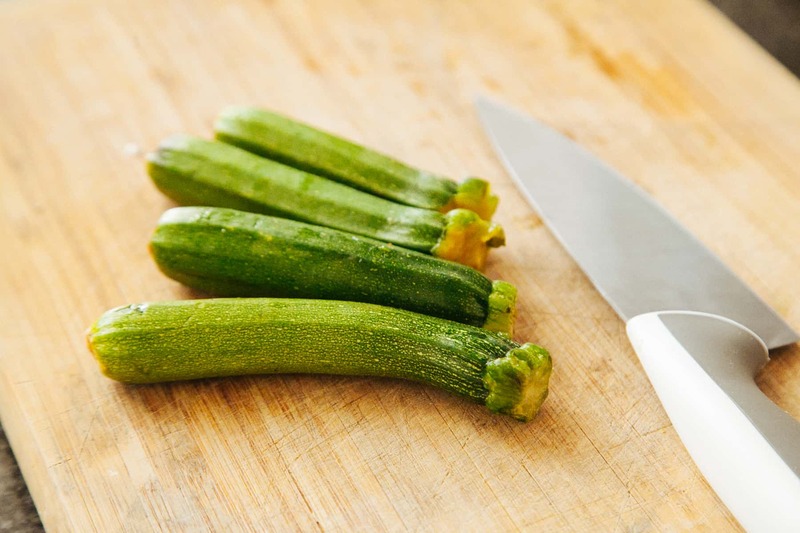 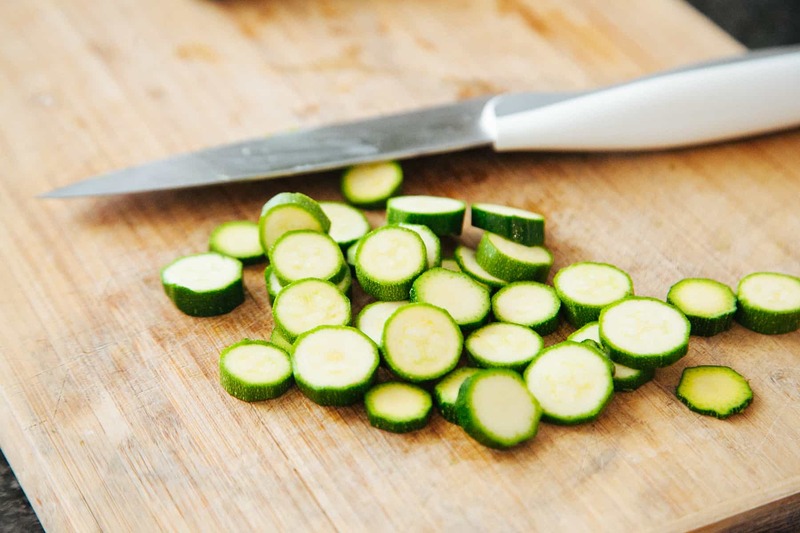 Chop the okra into thick slices before cooking. 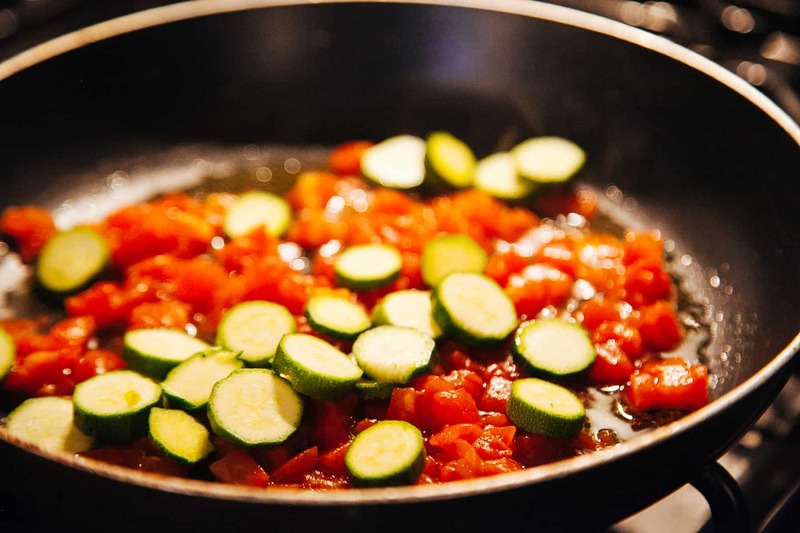 Add diced tomatoes and okra and cook for 3 minutes. 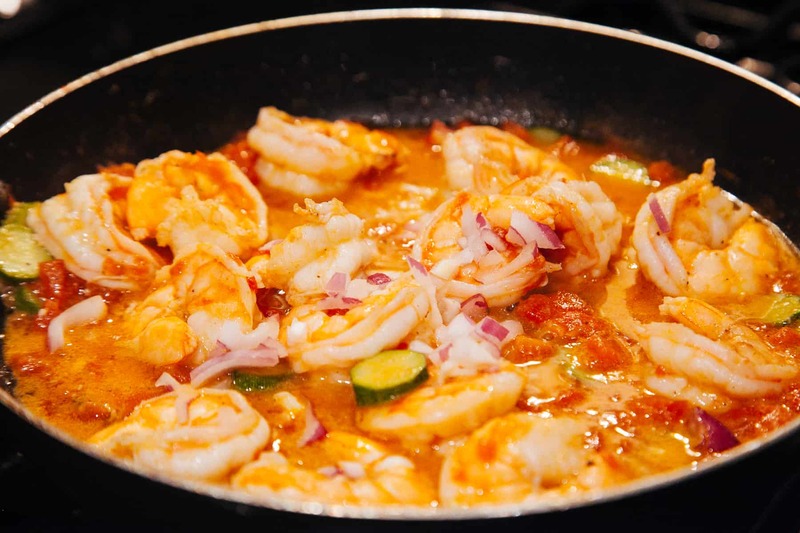 Add shrimp and marinate mix into the pan. 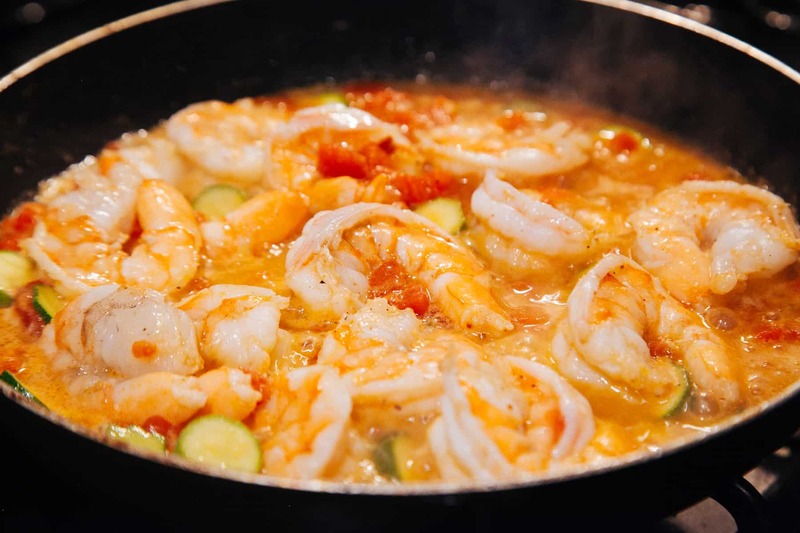 Stir together with the shrimp and allow the shrimp to cook in the sauce for about 10 minutes. 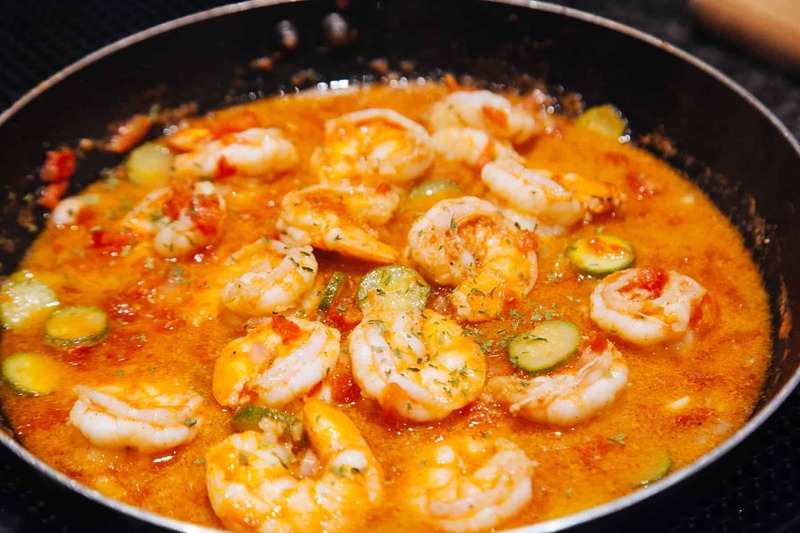 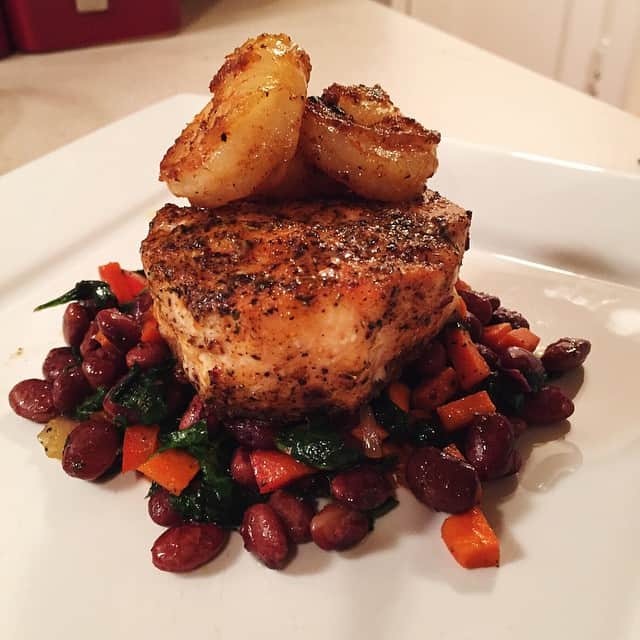 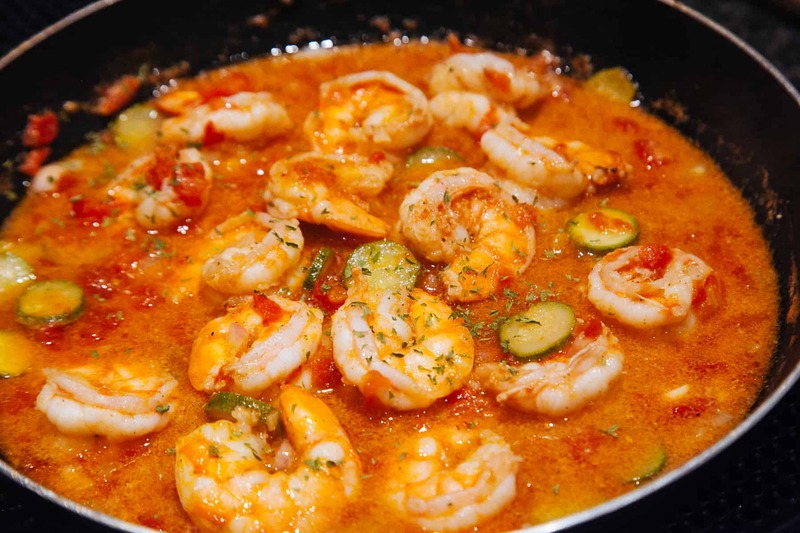 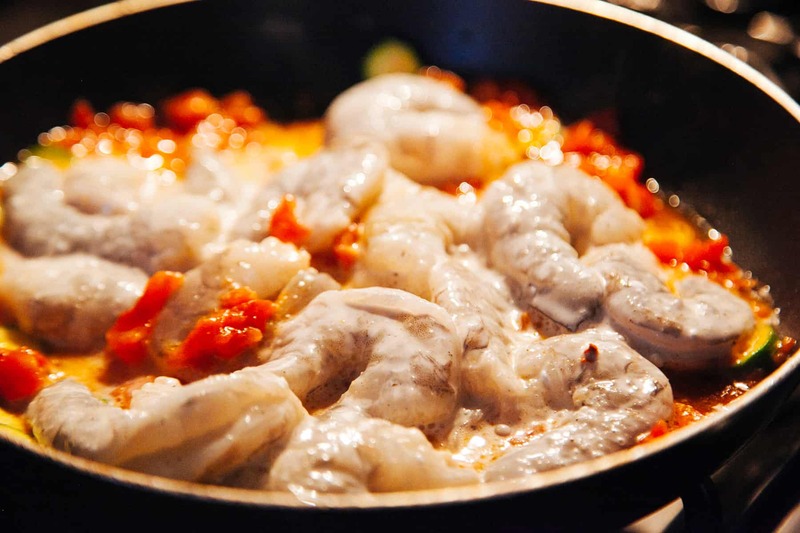 Lower the heat, cover the pan and cook for about 5 minutes or until the shrimp is fully cooked. 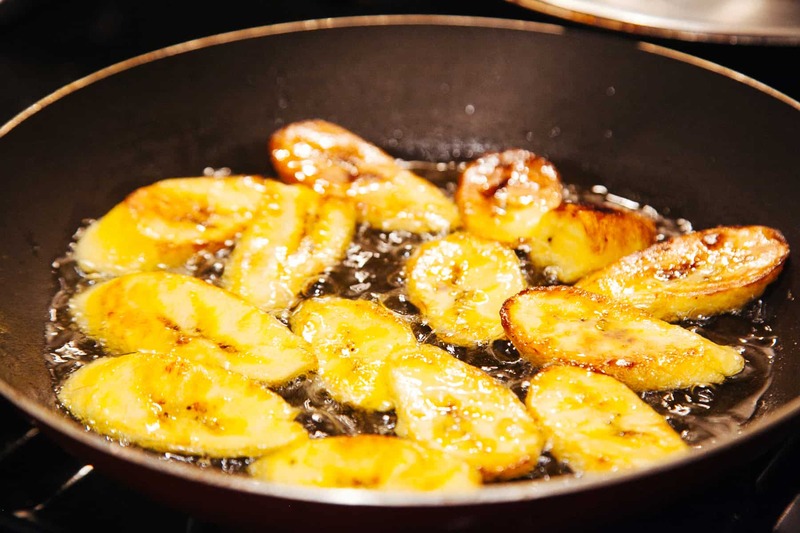 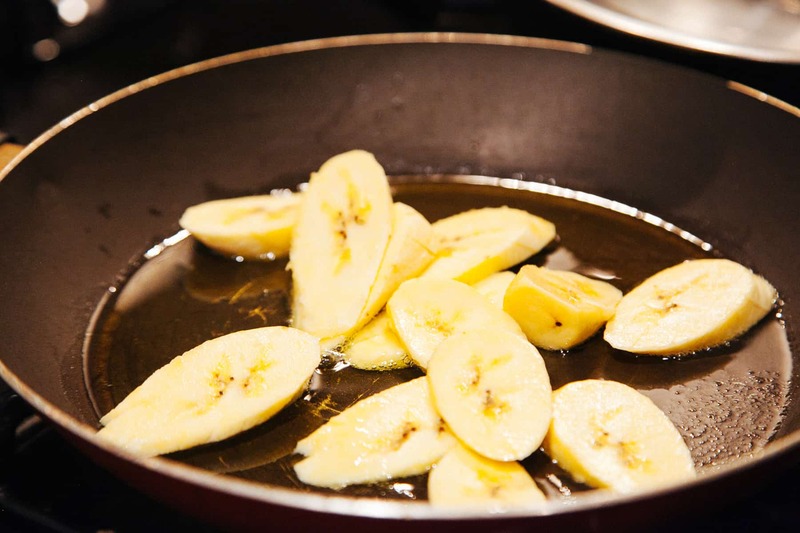 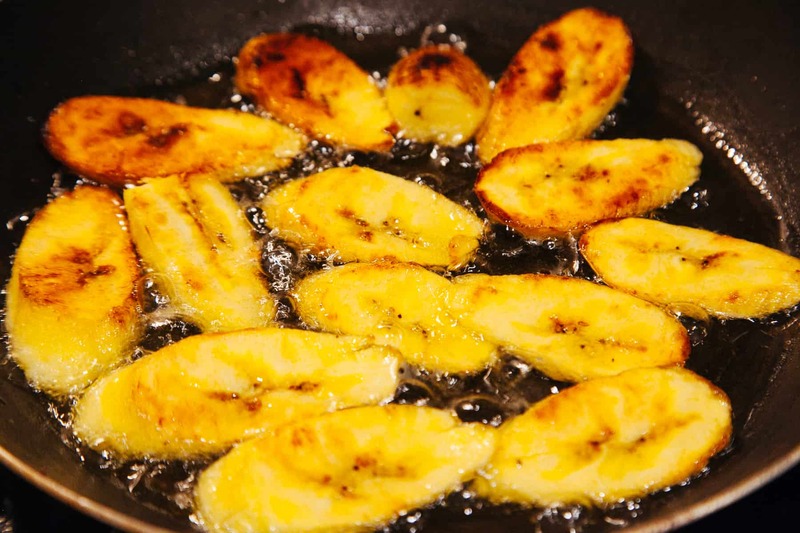 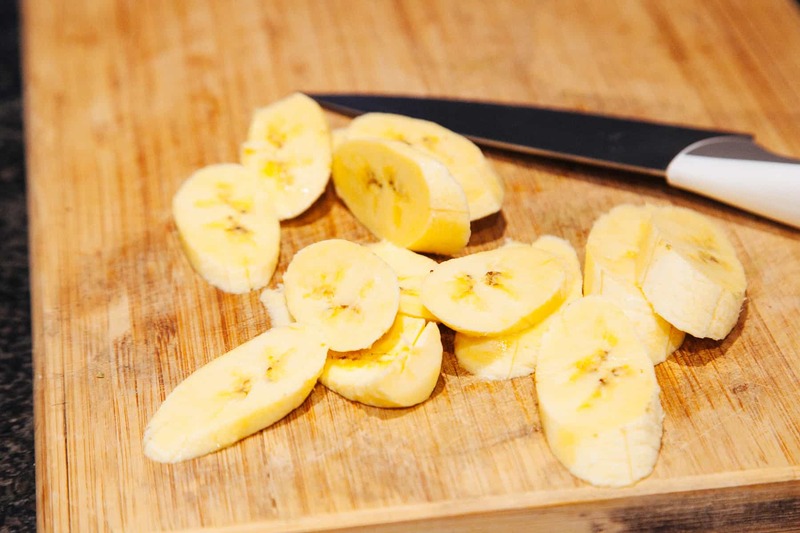 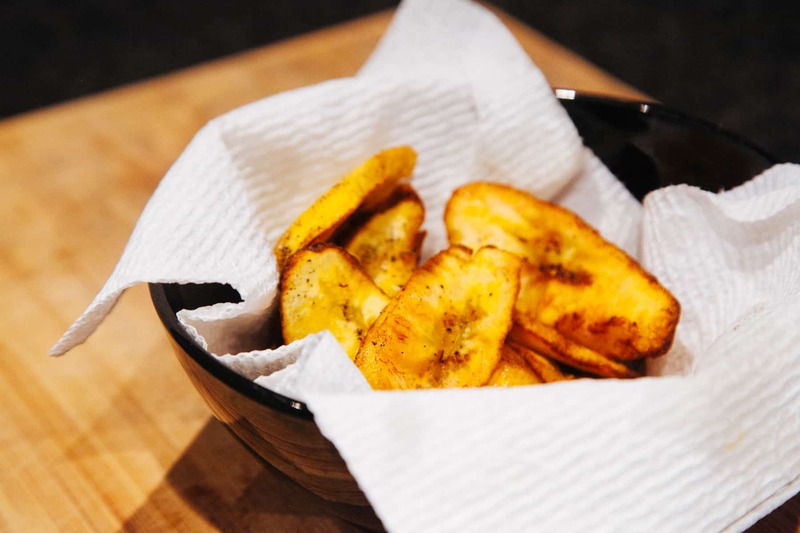 Prepare your plantains, fry for about 3-5 minutes or until each side of the plantains are nice and golden. 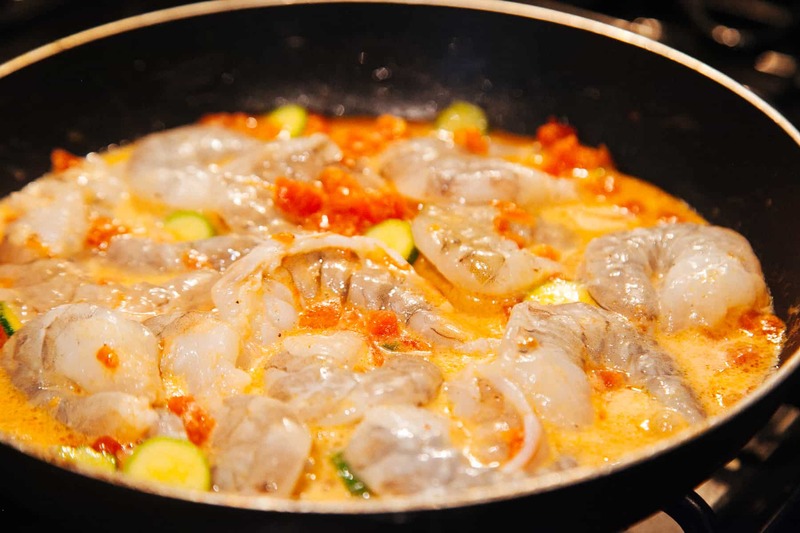 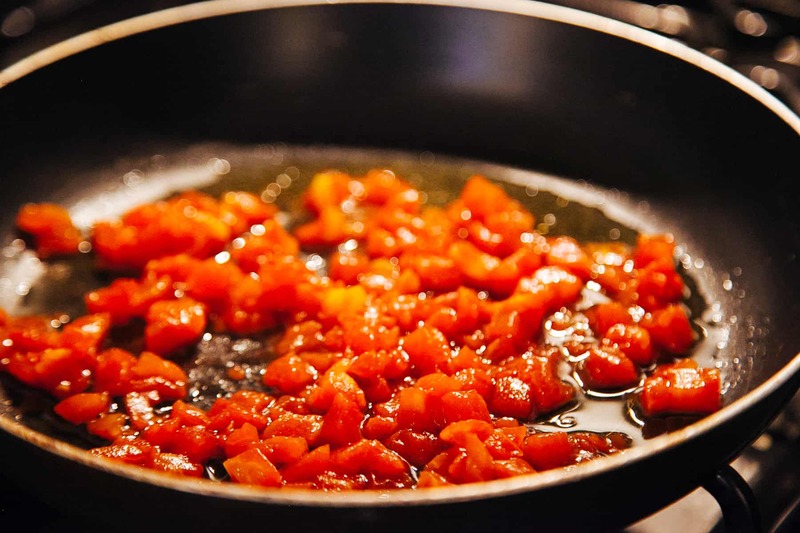 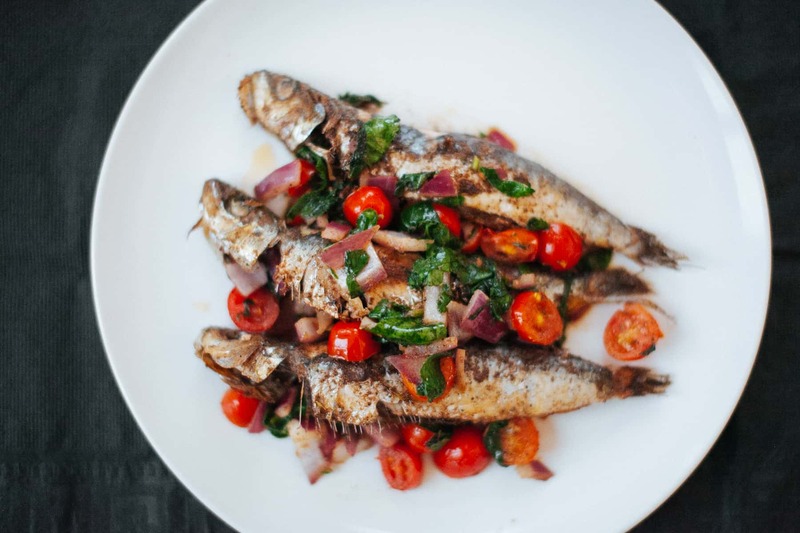 Remove from the pan and season with salt and black pepper. 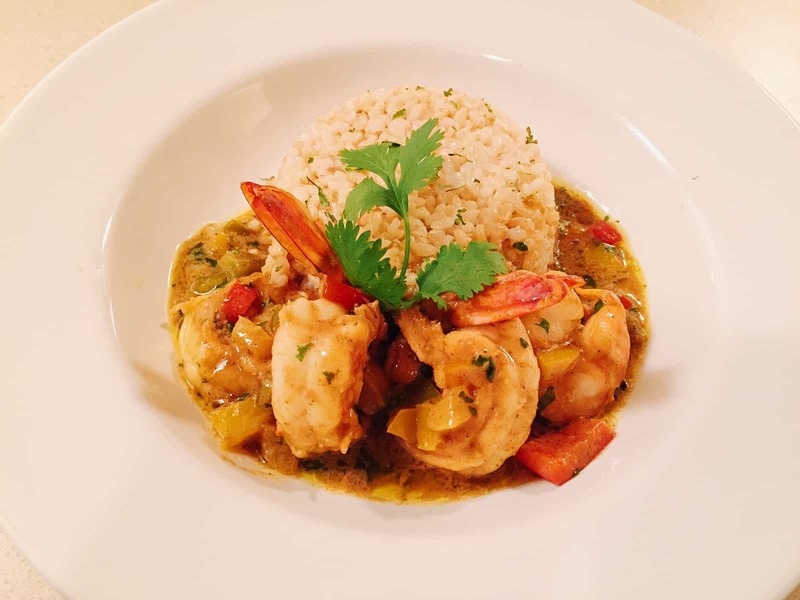 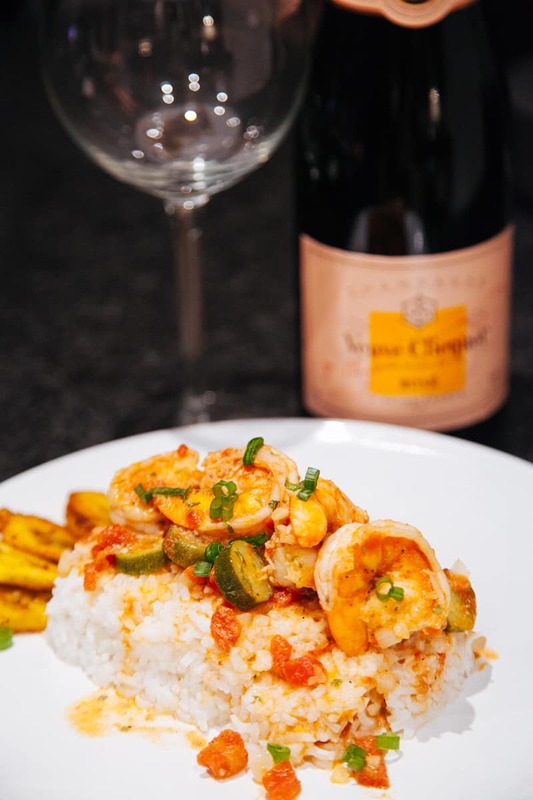 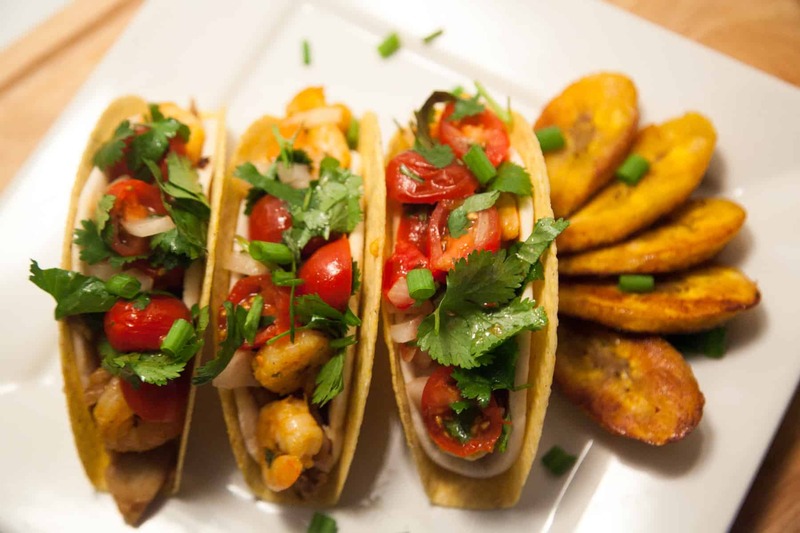 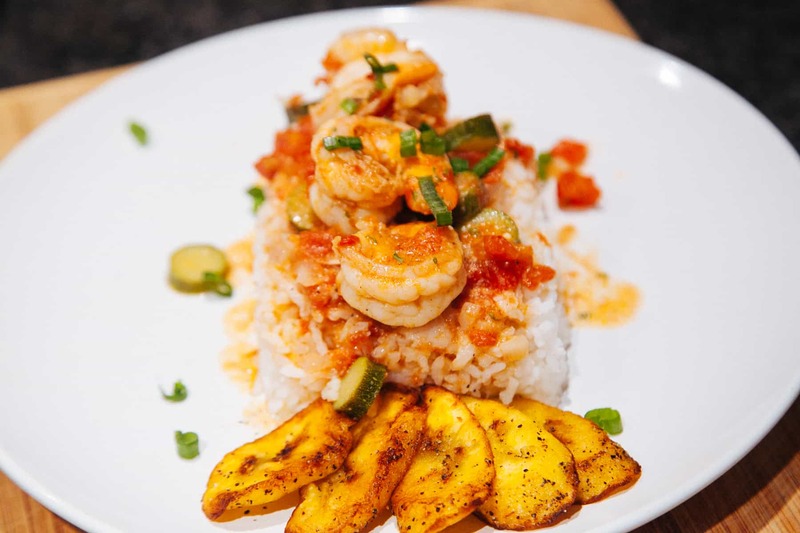 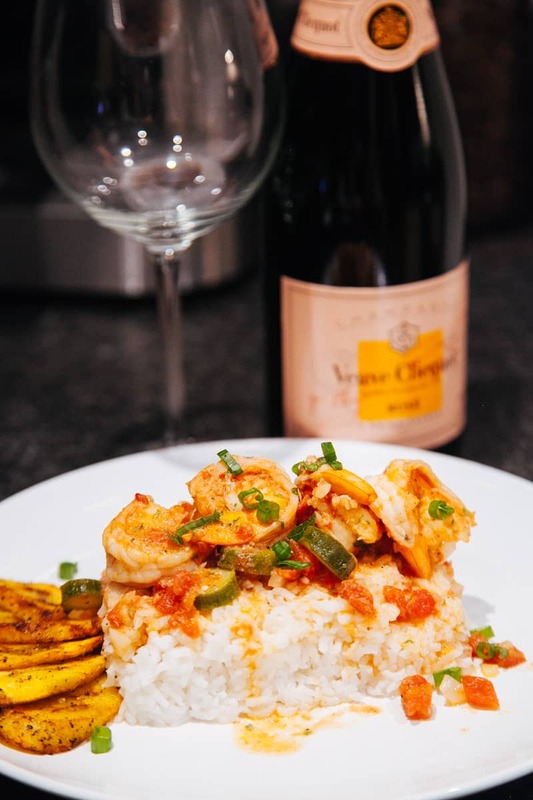 Once the plantains are done, Serve your rice, shrimp and stew with plantains and top with green onions and serve.